Belize Electricity Limited (BEL) hosted a ceremony today to honour some of the 2019 beneficiaries of its Golden Citizen Program. The Company is providing 2,665 Golden Citizens countrywide with a credit of up to 60 kilowatt hours on their monthly electricity bills. 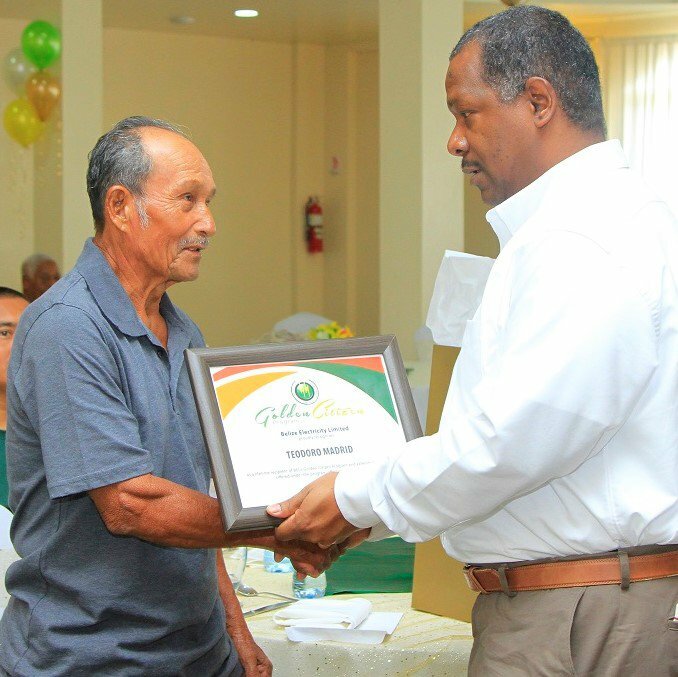 Annual awardees are selected randomly from among Belizeans age 65 or older with an active electricity account registered in their name at their residence. Waivers of fees for other services are also granted. BEL’s Golden Citizen Program commenced in 2012 and 810 new awardees are being added this year. In the coming weeks, employees will visit other beneficiaries to present certificates of award and check on their wellbeing. BEL encourages all Golden Citizens to update their electricity account at any BEL office to become eligible for the award. The ceremony was held at the San Ignacio Resort in the Cayo District.